Each of your Pokémon that evolves from Eevee gets +20 HP. 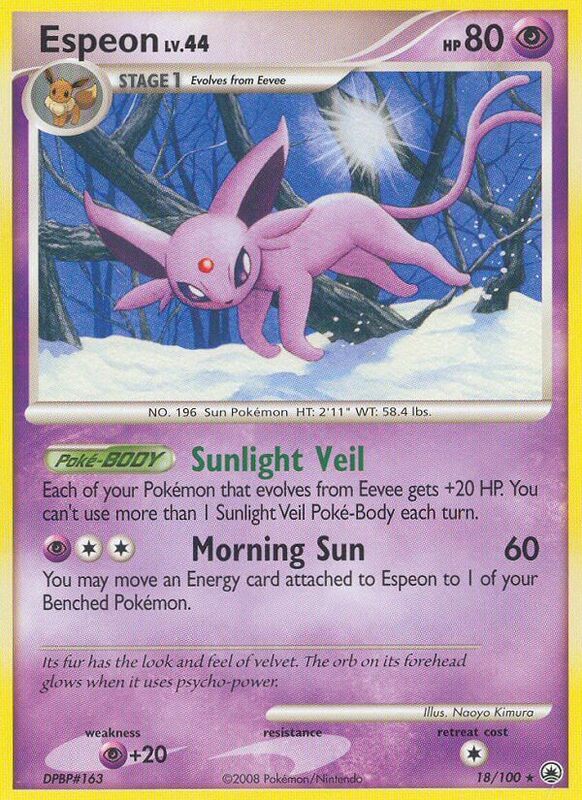 You can’t use more than 1 Sunlight Veil Poké-Body each turn. Its fur has the look and feel of velvet. The orb on its forehead glow when it uses psycho-power.